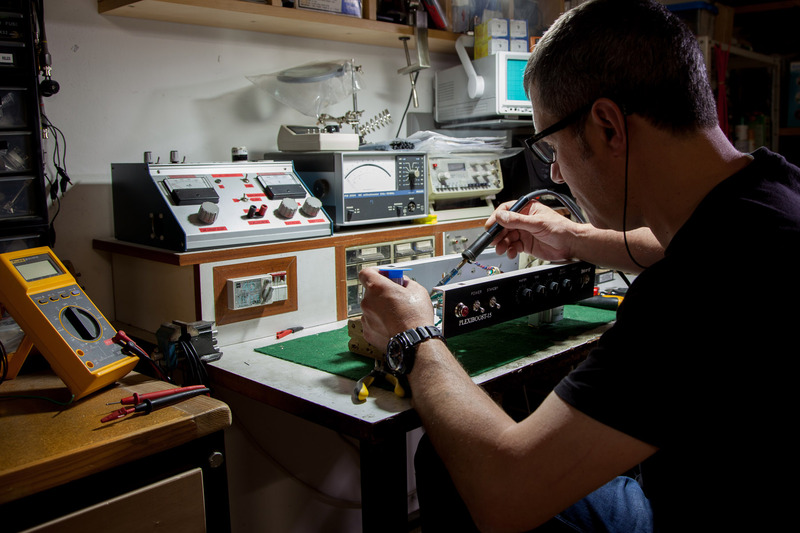 We started doing repairs to all kinds of tube sound equipment in 1992, and we take pride in using measurement and calibrating devices of the highest precision and reliability. Tube replacement and bias adjustment. Transformers (original spare parts and from the best brands: Fender, Marshall, Mesa Boogie…). Tolex and/or grill replacement or restoration . Electrolitic capacitors (TAD, JJ, F&T…). Signal capacitors (Orange Drop, Solen, Mustard, Mallory…). Plugs, switches, knobs, sockets, etc. All repair jobs are guaranteed. The RoeTest has turned out to be one of the most essential tools in my workshop. It was designed by German engineer Helmut Weigl and built by yours truly. 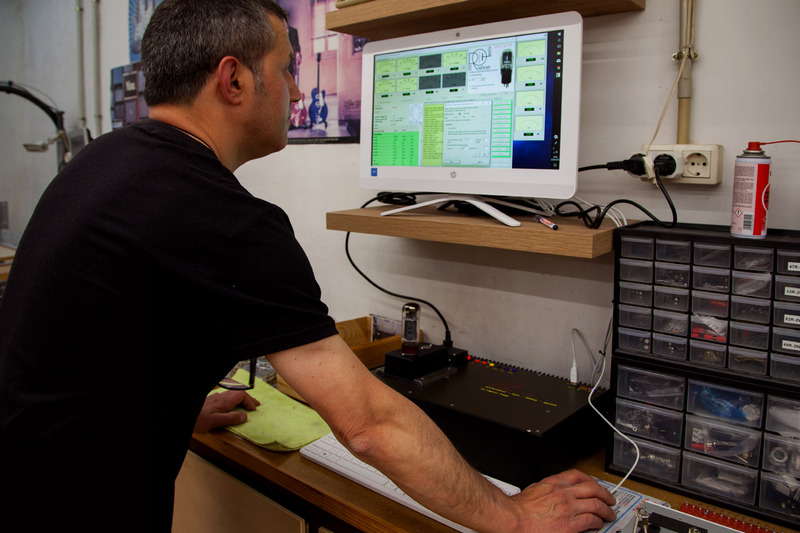 It’s a computer-driven valve tester with a highly sophisticated software which lets you know the condition of any kind of preamp or power tube due to its almost infinite measuring and testing possibilities. Add to that a program for tube matching and the possibility of printing tube characteristic curves. A must-have valve-testing tool!